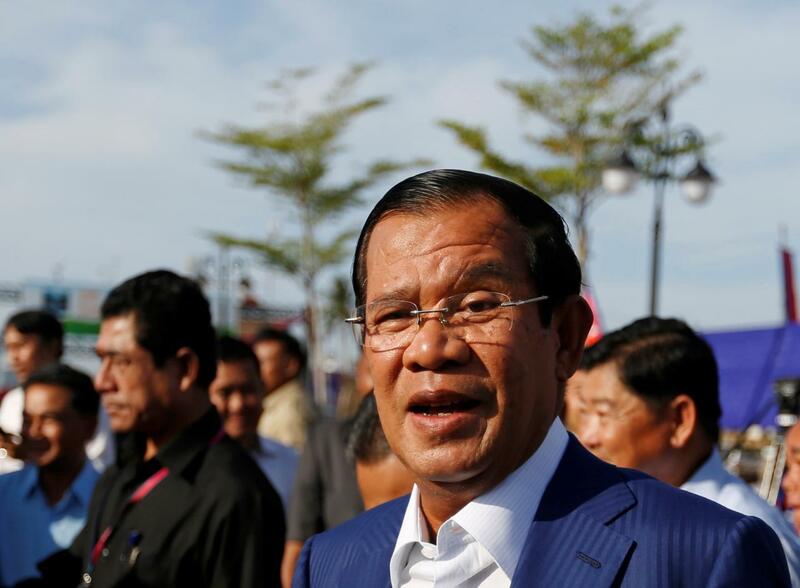 PHNOM PENH: Cambodian Prime Minister Hun Sen lashed out at an election boycott by the dissolved opposition Cambodia National Rescue Party (CNRP) on Thursday, just days after his party claimed victory in what rights groups say was a flawed general election. The CPP has pointed to what it says was a solid election turnout as proof of the country’s sound democratic process. More than 82 per cent of those registered to vote cast their ballots. Turnout was 90 per cent in the 2017 local election and 69.61 per cent in the previous general election in 2013. “The campaign failed, more than 82 per cent of people across the country voted, showing that our people support their own democratic process,” Hun Sen told thousands of factory workers in the capital Phnom Penh. Hun Sen, a former Khmer Rouge commander who has ruled for nearly 33 years, is expected to visit Europe in October. The trip includes meetings with officials of the European Union, which heavily criticized the election process, in Brussels. “I let you know in advance, so people in Europe can organize demonstrations against me,” Hun Sen said.